The Gloucestershire Tourism Forum welcomed plenty of visitor economy stakeholders to hear about what’s happening in the region, learn best practice from experts and network in a friendly environment. It was great to see so many Cheltenham members attend the event at Gloucester Rugby Club and to meet so many new contacts from across the region. We loved presenting our work to date and getting great engagement from those in the room. Thanks to all who attended! We answered our very first request for bookings and accommodation for CHRISTMAS 2019! Just one week into the month, and this super organised business was keen to get their Christmas all wrapped up. It’s definitely the earliest request we’ve received for a booking, and it’s great that so many of our members provided their prices and availability too. Announced the launch of Cheltenham’s first Brian Jones Walking Tour. 2019 marks 50 years since his untimely death, and the new guided tour, developed in partnership with Cotswold Tour Guides, will take visitors around many of his old haunts and places of inspiration. The first tour date is 28 February 2019 which would have been Brian Jones’ birthday, with further dates throughout the year. Announced the launch of Light Up Cheltenham in association with Cheltenham BID. Running in February 2019, Light Up Cheltenham will illuminate over 40 buildings and we’ve been busy getting the news out and about. Supported the Cheltenham BID Boutique Sale with promotion across all our channels. The sale was a huge success, with over 500 shoppers hoping to snag a bargain. Provided new content and wording for partner website Cotswolds.com, with a view to improving the Cheltenham communication and promotion, and driving footfall in the town. The updated content should inspire more visits from those already coming to the region and we are really grateful for the opportunity from The Cotswolds. Liaised with a pending conference to provide hotel rates, visit ideas and a location for their 2019 conference. The conference will bring over 1,000 delegates to the Town. 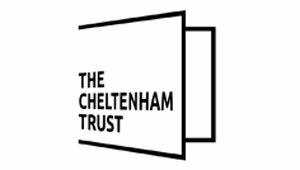 Fulfilled image and information requests from 19 journalists, including working with a number to profile Cheltenham as a Destination alongside features on The Festival(TM). Secured published press coverage of Cheltenham in January which reached 200,895 people nationally. 85,314 page views, up 52.64% since last year when there were 55,891 page views . reaching 33,457 people via Instagram. Undertook a full review of all our achievements and statistics for 2018, including the Christmas campaign results. These will be published by mid-March when all statistics can be ratified.